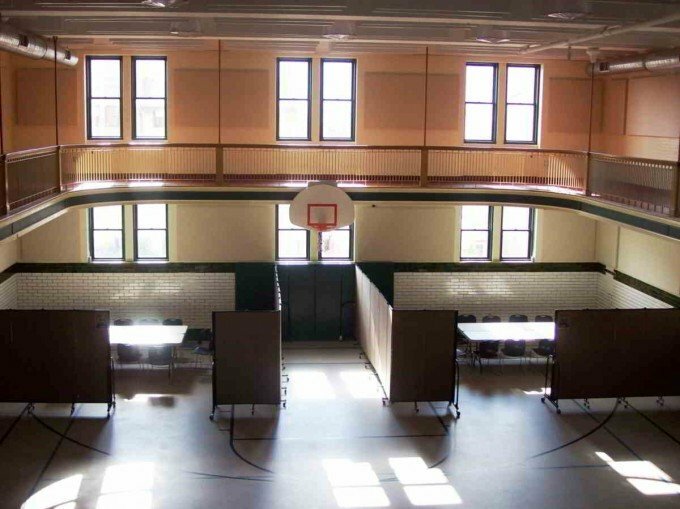 Recently, Pastor Ken Turnbull of Allegheny Center Alliance Church in Pittsburgh, PA sent us photos of their gym before and after using the Screenflex dividers to make 4 additional adult Sunday School classrooms. 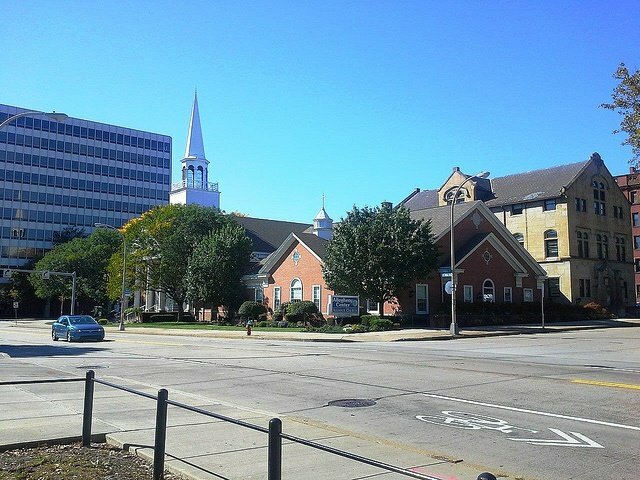 Pastor Trumbull first began working with Screenflex Design Consultant Lourdes Morales in July of 2014. He told her they were looking to create 5 adult Sunday School classrooms inside of their gym. They had a set number of people enrolled in their program and needs space to accommodate everyone. He took a photo of the original blueprint for the gymnasium and emailed it to Lourdes. From this, she was able to take the measurements and create a custom design for them, ensuring they could fit the new classrooms within their existing space. Most importantly, they were able to make sure that the new spaces were large enough to service the number of adults enrolled in their program. If you’ve been on our website you’ve probably noticed that we don’t sell our Screenflex Dividers online. Instead, we make available all the features, sizes, colors, and options, and then ask you to call or email us for a consultation. Many customers ask why we sell this way and the answer is simple; to save you money and make sure you get the correct size needed to solve your problem. You’d be Surprised At How Much A Simple Phone Call Can Save You! But how? Here’s a great example of the benefits of talking with one of our consultants: When potential customers call us they’ve usually been to our website or have seen our product elsewhere online. They know what they’re trying to do, and either they have the dimensions of their room and are 100% sure they know exactly what they want to order or they just want to get a price. Either way, once we speak with them, ask a few questions, look over their dimensions and are able to explain how our dividers are sized and how they operate, they often discover that if they’d gone ahead and ordered directly online, they would most likely have spent far more than they needed to by ordering an incorrect size or too many dividers. We even have a special phone in only discounts we can apply to your order!. So after their consultation with Lourdes, and with their design plan and quote in hand, Pastor Turnbull set about ordering the dividers for their classrooms. To accommodate their budget, they broke their order up over three months. They received their last shipment of dividers in November 2014, and the rest is history! What Happens When I’m Not Using Them? 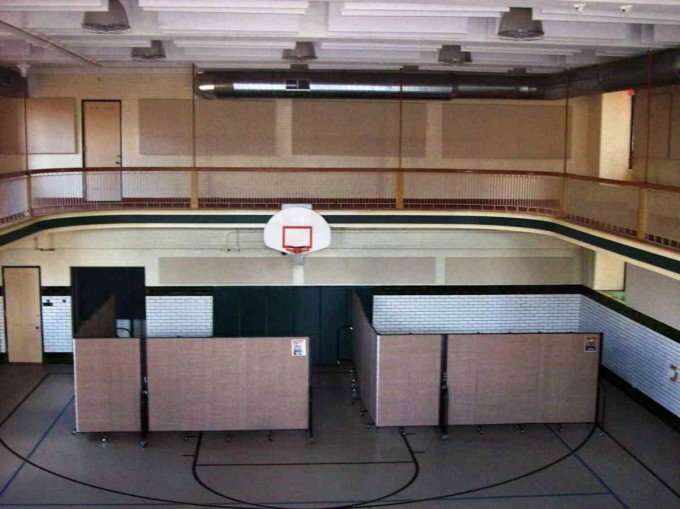 One of the greatest benefits to using Screenflex portable room dividers is that not only do they roll out and set up quickly, but when they’re not being used as portable classrooms, the dividers can be moved to other parts of the church and used for other purposes. 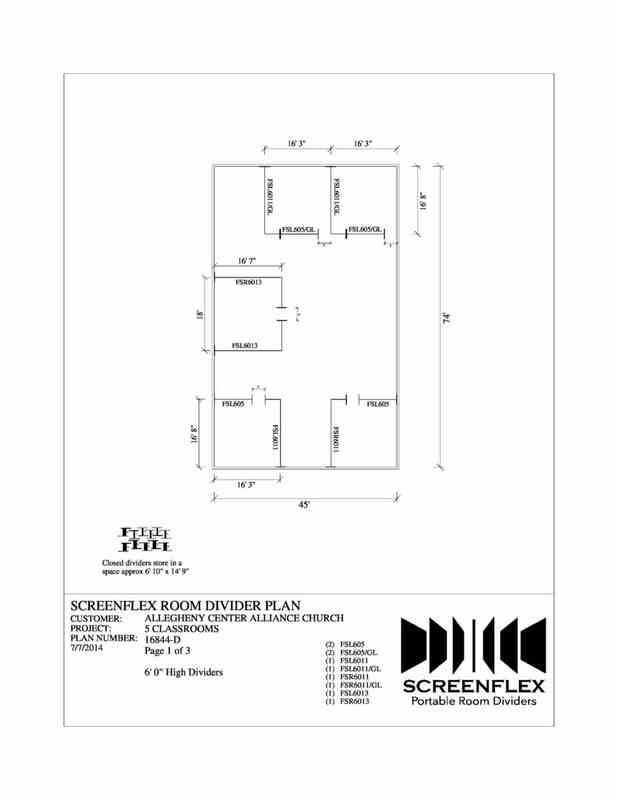 It’s super easy to move Screenflex units. When fully closed, even the largest Screenflex unit will fit through any standard doorway, and the self-leveling casters allow you to roll them effortlessly across different flooring surfaces. It’s super easy to move Screenflex units. Units fold compactly, accordion style, and stay closed in the closed position with a self-closing storage latch. Self-leveling casters allow you to roll them effortlessly across different flooring surfaces, and even the larger Screenflex unit will fit through any standard doorway. If you wish to store your unit, it requires only about a 2’X3′ of storage area. How Do You Get Your Personal Consultation? If your church, school or facility is looking to for the perfect way to add space to your existing facility to hold more events, to grow and attract new members, or create more flexible worship space let our consultants help you find just the right solution for your needs. Give one of our design consultants a call today at 800-553-0110 to find out how much you can save or to get a list of customers in your area. 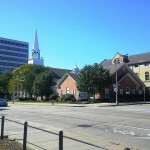 Pros and Cons of Church Planting: Is It for You?